To the shock of probably no one at all, Max Payne 3 has been pushed back into next year. A lot of good news came out of Take-Two Interactive yesterday. The company saw a significant jump in sales in the second quarter of its 2010 fiscal year which translated into an actual profit of nearly $17 million. Red Dead Redemption has broken five million unit sales and Grand Theft Auto IV continues to roll along, with over 17 million units sold. Things are sunny enough that Take-Two actually raised its financial outlook for 2010. But there is one bit of bad news: Max Payne 3 has been pushed back into the next fiscal year. It's not a terribly shocking development given Take-Two's track record. Analyst Michael Pachter criticized the company in March for taking too long to make games, specifically mentioning "the continuing delays of Max Payne 3 (six years in development)," among other games, as reasons why it has so much trouble turning a profit. 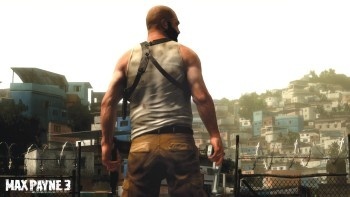 It isn't the first time the game has been delayed, either: It was originally slated for release in winter 2009 and then, when winter 2009 arrived and everyone's favorite New York noir detective turned thickly-muscled Brazilian wifebeater didn't, it was rescheduled for the final quarter of 2010. In theory, Max Payne 3 could still arrive in time for the final quarter of the 2010 calendar year as Take-Two's 2011 fiscal year begins on November 1, but no new launch window has been suggested.